If you can't see a stable build of CyanogenMod 10 for your device just yet, hang tight, as some builds have been failing. Hopefully, the issue will be addressed soon, but we aren't sure how long this might take. 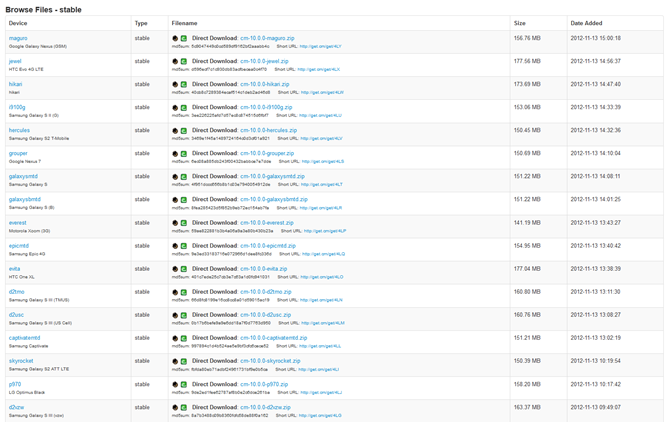 If you can't wait to get your hands on the final version, keep checking the stable downloads page for new builds. Update #1: Many more builds have gone live this morning. 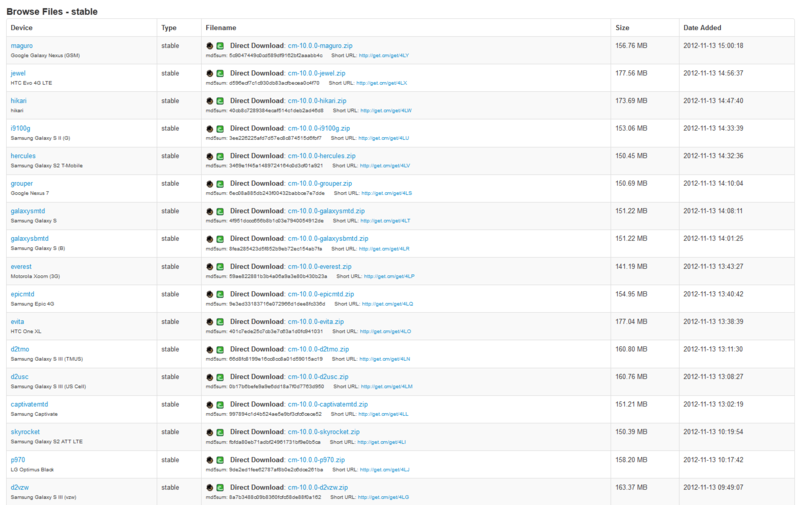 Last night we initiated the process of tagging and branching our source code for the CM 10 “stable” release. Why is stable in quotes? Because that word does a disservice to the M-series and is misleading at worst. The word stable works great when discussing kernels, but calling this release ‘stable’ implies that the M-series builds were not ‘stable’, which is far from the truth. So think of this as stable, release, LTS, or M3; you pick. Regardless, we want your bug reports; we can’t fix what we don’t know is broken. (And yes, you do have to follow the template, or your issue will be ignored). Builds have hit our download portal, with more queued on our Jenkins build manager, and we will be adding to their numbers as additional devices reach release quality. On deck for the near future are releases for the Nexus S, Sony Xperia devices and the Nook Color. Android 4.2 received the OTA treatment yesterday from the powers that be and today JBQ pushed the buttons for the source to hit the AOSP repos. We have begun the task of defining what is new, what has changed, and what CM features should stay (or go). We already anticipate removing the CM enhancements to the Clock app (Google made their own), and enhancing the Quick Settings (most likely not porting over the Notification Power Widgets). Other areas include our Profiles code, lockscreen weather and calendar events and the larger effects of the multi-user support. However, these assessments are preliminary, and we’ll learn more as the merge process continues. Android 4.2 will become CyanogenMod 10.1 and we will provide an update on our Google+ when nightlies with the 4.2 code begin.